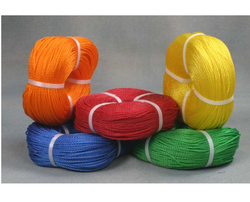 We are engaged in manufacturing and exporting a qualitative range of fishnet polypropylene twine that cater to the requirement of various industries. 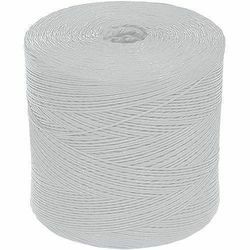 This Polypropylene Twine is high density polypropylene Twine as it is manufactured from 100% virgin grade PP Granules and some other ingredients for shining and smoothness. This twine is mainly manufactured for export purpose. 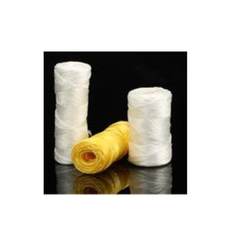 We are offering excellent quality of PP Twines, which is well known for its elasticity and easily absorb sudden shock loads with good resistance to abrasion. Leveraging on our years of experience and in-depth knowledge, we are able to offer our customers with Baler Twine ropes. All the ropes are obtained from the most trusted and certified manufacturers of the market, who develop these using high-quality material and latest technology. In addition to this, we pack all the products using premium packaging material to ensure safety. We are instrumental in offering our customers with PP Baler Twines that are available in different lengths and thicknesses at market leading prices. 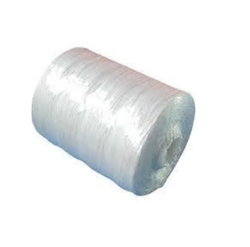 These ropes are procured from the reliable and authorized manufacturers of the market. Moreover, we check all the ropes on various parameters to ensure flawlessness. Looking for PP Baler Twine ?